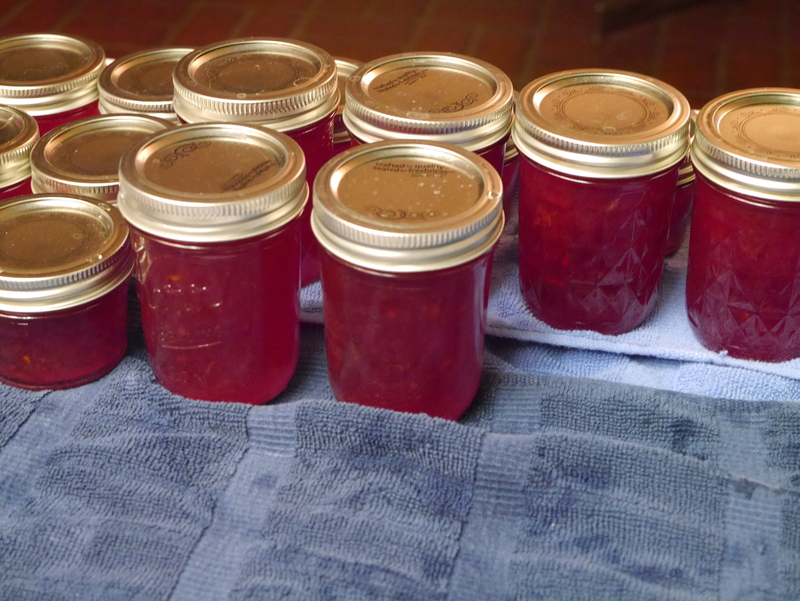 I love canning fruit and making jams and jellies. It is never a problem when one of my best friends says she has a bag of guavas and could I turn it into jelly. Fair is fair as she provides the sugar, fruit, and canning jars and I get all the fun! Guavas have a very pronounced scent so I usually cook down the fruit with apples and cranberries to add to the pectin in the jelly and give it a pretty color. I ended up with something like 25 jars. Of course, I had to taste test it and gave it a thumbs up . . . with all modesty, of course! When my children were small, I first learned how to can fruit. We had gotten a bushel of apples and I decided to make chunky applesauce. The children were fascinated and kept coming through the kitchen to see what was going to happen to all the apples. Finally, my jars were sterilized and the apple sauce was ready for spooning into them. 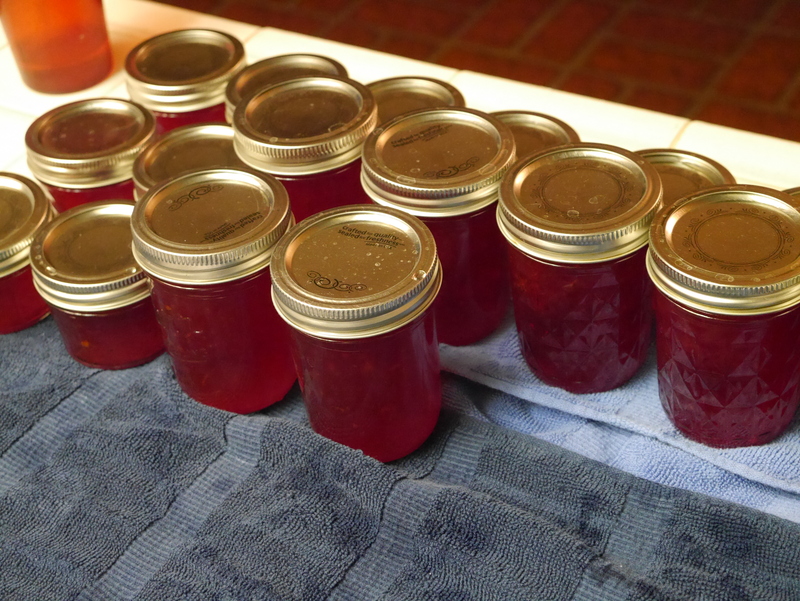 I quickly put the lids on, gave them the required water bath and happily lined up my first dozen jars on the counter. By the time I got the last of the three dozen jars settled to cool down, I noticed the children had gotten very quiet and discovered them in the living room watching television . . . each with an open jar of still-warm apple sauce in hand. Naturally, they were also equipped with spoons. For once, they had worked together and made sure the two youngest had help getting their own jar open. Much as that was a shock and surprise, I found out they were on their second jar each. Eight jars down before I even had a chance to put them away in the cupboard for the proverbial rainy day!